Chefs Quality is a brand used by many different types of restaurants and food service facilities across the US. Most of the items are bulk size and discounted relative to the price paid in a normal supermarket. 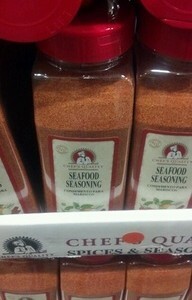 ….Chef’s Quality Seafood Seasoning!! – Add to white sauces for fish. – Use to season steamed crabs or clams. – Mix into recipe for fish (like crab or salmon) cakes. 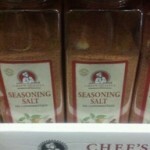 – Add to soups, gumbos, stews, and especially chowders. 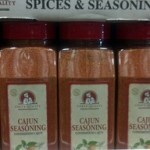 – Sprinkle on scrambled eggs, omelets, and other egg dishes. – Use to flavor crab dip or crab soufflé. 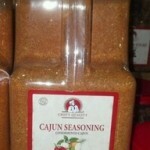 – Add to crab salad or shrimp salad. 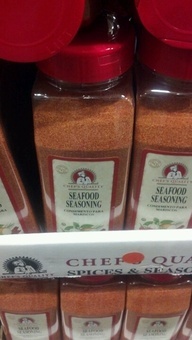 – Sprinkle on fish or seafood before grilling, roasting, baking or frying. – Cut lemons into wedges and dip in Seafood Seasoning. Serve with fish dinner.